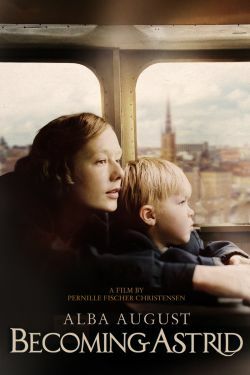 The poignant true story of a character-defining period in the life of Pippi Longstocking author Astrid Lindgren, BECOMING ASTRID follows a teenaged Astrid as she struggles with being a young, unwed mother. Teenaged Astrid Lindgren, future author of Pippi Longstocking, leads a carefree life in rural Sweden. Eager to break free from her conservative upbringing, she accepts an internship at a local newspaper where she attracts the attention of its married editor. After Astrid becomes pregnant, she leaves home to give birth to a son, whom she reluctantly leaves with a foster mother. When the foster mother falls ill, Astrid uses her imagination and flair for storytelling to reconnect with her child.